Let’s face it: Batman is still one of the most popular superheroes, and with good reason. He’s dark, and he’s human. 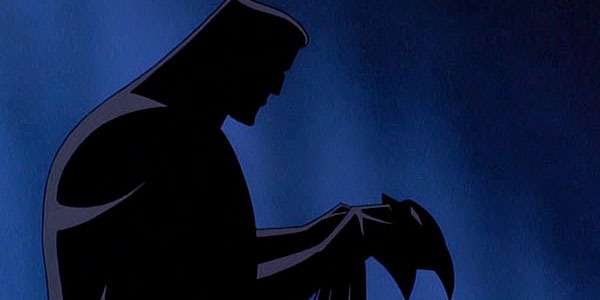 In 1993, Warner Brothers released Mask of the Phantasm, its first Batman animated feature film, as a companion to the Emmy-winning Batman: The Animated Series. It follows Batman as he investigates a series of murders of Gotham mobsters by a masked vigilante. Batman finds the answers he may be looking for are in his own past. Things get problematic when the Joker gets involved. What the animated series really nailed was the dark, brooding atmosphere of Gotham City. Warner Brothers, however, was handicapped as it was meant to be broadcast on children’s television networks, and thus couldn’t depict more heinous crimes in the series. WB seemed to have been trying to make up for that in Mask of the Phantasm as the story was a lot darker (hard to believe, I know) than anything that ever happened in the series. In addition to the atmosphere, what I liked about the movie was that we get to learn a lot more about Bruce Wayne and how he became the Caped Crusader. As the series was largely episodic in nature, it wasn’t really conducive to character development, but that was remedied by the movie. Mask of the Phantasm was the first time WB used CG to augment the traditional cel animation. While it was nothing that would make a Ghibli (or even Disney) movie of about the same time, such as Kiki’s Delivery Service, jealous, it was definitely a step up from the series. In general, more audacious camera angles were used throughout, namely when Batman battled the Joker while the latter was flying on a jetpack. Mask of the Phantasm, in my opinion, sounded a lot better than it looked. Haunting choral pieces were added to much of the soundtrack. Kevin Conroy was in top form as Batman, as was Mark Hamill as the Joker. A surprising addition to the cast was Dana Delaney as Andrea Beaumont. Delaney went on to voice Lois Lane in the Superman animated series. Despite that, the Joker’s appearance in the movie was actually its biggest weakness. I personally felt the movie would have been more interesting if it concentrated more on the Phantasm and thus worked solely with a villain originally created for the movie instead of falling back on someone as well-established as the Joker. I feel like it’s almost entirely because of the Joker that the movie has trouble standing on its own two feet instead of using the series as a crutch. It didn’t help that many supporting characters, like Detective Harvey Bullock, wound up with just enough script to sort of pop in to show face. Arthur Reeves was woefully underused. It’s because that it needed support from a very well-established series that I have a hard time recommending Mask of the Phantasm to someone who hasn’t seen the series. In its own right, it was a decent enough Batman story, but it could have been terrific had it not had the Joker in it. The movie was great until the last 20 minutes, which wound up feeling like an epic cop-out.